At the end of 2002 the third package has been in force for ten years. It was therefore a good moment to review the record in terms of compliance and problems which have been encountered. 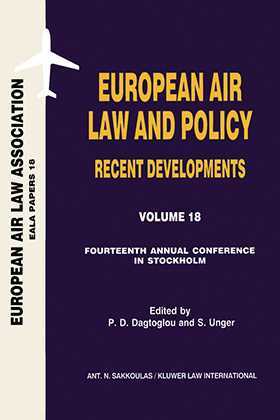 Competition Law continues to play an important role in the airline sector and topical issues include frequent flyer programmes, the response by traditional airlines to law-cost airlines and arrangements between low-cost airlines and airports. For the last few years state aid to airlines had been a dormant issues, but it is now back in earnest ¿ in connection with the very different responses of the EU and the US to the events of 11 September , the similar but different fates of Sabena and Swissair and the opening of a Commission investigation into Olympic Airways. Passenger rights remains a subject high on the commission¿s agenda, and its proposal for a regulation on compensation for denied boarding and flight delays and cancellation is exciting strong opposition from airlines. All these subjects were covered in the Association¿s annual conference for 2002 in Stockholm, and in some cases from a particular Scandinavian point of view. General developments in the Nordic and the Baltic regions have also been discussed, particularly in view of the expected imminent special aviation arrangements between the Baltic states and the EU.